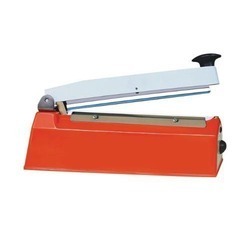 We are a leading Wholesale Trader of hand operated sealing machine, continuous sealing machine, automatic filling machine, container sealer machine, dry ink coding machine and carton sealing machine from Kolkata, India. 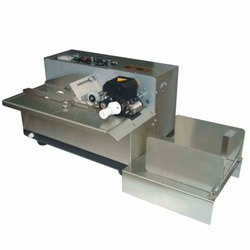 Owing to our in-depth industry knowledge and expertise, we are engaged in offering Hand Operated Sealing Machine to our customers, offered machine is manufactured with premium grade components by skilled workforce in conformity with the modern market standards. Along with that, this machine is examined on various quality parameters in order to ensure the quality and performance. Moreover, we are offering this product at reasonable prices. We have gained accolades in offering a quality approved collection of Continuous Sealing Machine to our valued customers. Machines we are offering to the customer are widely demanded due to its availability in variety of sizes and specifications. These products are recommended for their finest quality, durability and sturdy construction features. Moreover, quality proven basic material is used to manufacture the offered products. To cater the diverse requirements of our clients, we are actively involved in providing a wide range of Automatic Filling Machine to our valued customers. 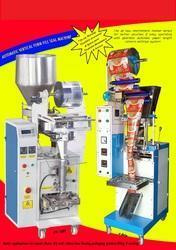 These machines are well designed and are highly efficient in working. These products are easy to use and can be adjust during its working. Offered products are widely known among the clients for their high tensile strength and smooth functioning. Apart from this, we are offering these at economical prices to the customers. 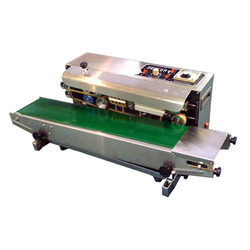 By utilizing skills of a dexterous workforce and employing modern machines, we are giving a comprehensive assortment of Dry Ink Coding Machine to our respected customers. 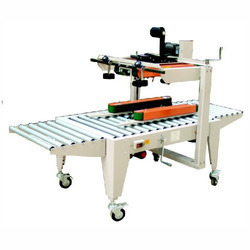 This machine is manufactured and designed by taking optimum quality raw material and sophisticated technology in strict adherence to the set industry standards. Owing to attributes like sturdy designs and rugged designs, our offered range has been able to obtain a lot of appreciation from the clients.